Today’s business leaders have plenty of new business communications tools and technologies to build their corporate cultures and grow their enterprises. All are meant to provide an effective way to communicate with employees, whether they’re telecommuting, working remotely or based out of other offices. 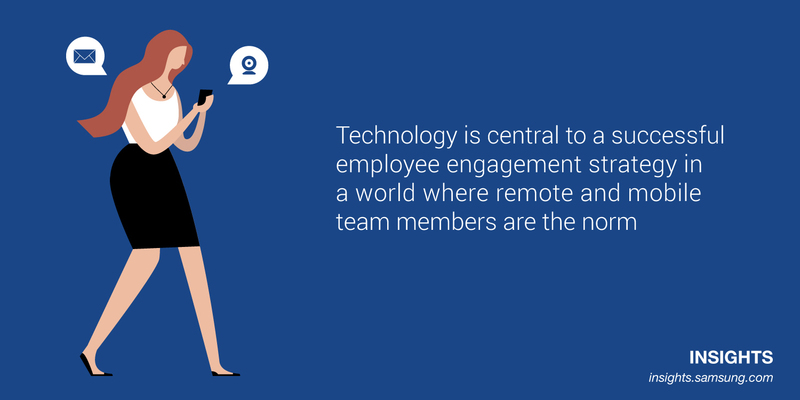 But how do you effectively reach and empower your workforce when they can literally be anywhere? Building a technology infrastructure for business communications that is cost-effective, reliable and secure should always be at the center of an employee engagement strategy in order to give employees the timely, relevant information they need to understand critical business priorities. But that can be easier said than done as enterprises transition to a digital approach and expand the role of the CIO. Business leaders no longer build and operate IT infrastructure to simply support the business — now their IT investments must also enhance the customer experience and empower innovation and collaboration across offices and around the world. The good news is that these imperatives aren’t mutually exclusive. The same tools used to manage and augment customer relationships can be used to drive business communications and internal collaboration. The need is particularly critical for millennials, who are reshaping the modern workforce en masse. They crave a communications approach that enables collaboration and feeds their need for immediacy and convenience, according to the International Association of Business Communicators. So, how can you work to enhance employee engagement within your company? Here are several ways you and your C-suite peers can support these efforts. At a base level, CEOs must build a strong corporate culture and ensure that their employees have what they need to succeed. Investing in and championing a solid communications infrastructure to foster collaboration within a workforce is incredibly important. CEOs should lean on their CIOs to recommend technology needed to drive innovation and enhance productivity. The communications tools the CEO needs versus what an analyst in the field needs are very different. Delivering the right IT solution for employees at all levels is key to ensuring a successful return on investment. For example, Diebold, a financial self-service and security corporation that services ATMs and physical security devices, is using recent innovations in real-time mobile collaboration technology to transform how field services are delivered. The average person receives 121 work emails per day — a number that’s expected to swell to 140 per day by 2018 for a total of 51,100 emails received annually. When you factor in the myriad other communications tools employees use at work, it’s easy to feel overwhelmed. All employees should use these tools with reasonable restraint and adhere to company best practices on which tools to use for different types of communication. This consideration of the role each channel should play in an overall internal communications ecosystem can reduce the headache of achieving inbox zero across platforms. With many companies allowing their employees to work remotely, it’s critical that they still feel integral to the team that sees each other at the office every day. Investing in collaboration tools such as video conferencing allows remote users to still get valuable face time with those in the room and encourages active participation. Internal digital forums are another way to encourage idea generation and content sharing between employees. Business leaders should frequently look at how they’re empowering remote or distributed employees to collaborate, and ensure that the relationships teams foster across offices have a chance to grow in the real world. Genuine human contact remains essential to building trust and helping people mature professionally. After all, isn’t that what business is all about in the first place? Millennials will represent 75 percent of the workforce by 2020. Read how this generation is leading the charge in terms of technology-driven collaboration and productivity gains.